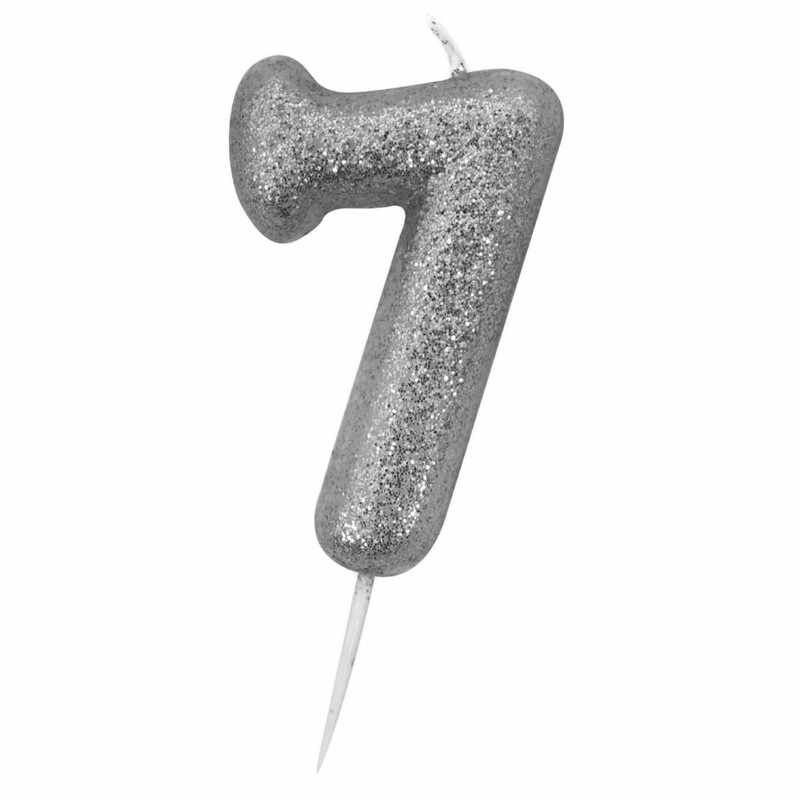 Silver glitter number 7 candle with plastic pick. Number 7 silver glitter candle. Ideal for topping birthday and celebration cakes. Also available in other numbers.